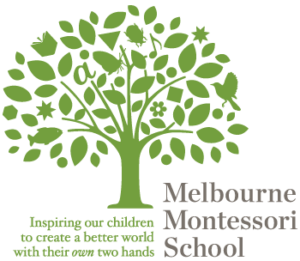 The classroom is purposefully designed to allow children to be self-sufficient and to work at their own pace with developmentally appropriate activities and resources they have chosen, guided by two Montessori trained educators. They lead the highly methodical teaching of activities from real-life cooking and gardening to division and multiplication. The children learn mathematics, language, science, geography, history, sensorial and practical life lessons. Specialist teachers also introduce Italian, Performing Arts and Sport. *** The Australian Children’s Education & Care Quality Authority (ACECQA) has rated MMS Brighton Campus as Exceeding National Quality Standards in all 7 Quality Areas that are important outcomes for children. based upon a child’s readiness, not chronological age. From an early age children are developing a sense of order and they actively seek to sort, arrange and classify their many experiences. The sensorial component provides a key to the world, a means for a growth in perception, and understanding that forms the basis for abstraction in thought. The sensorial materials give the child experience initially in perceiving distinctions between similar and different things. Later the child learns to grade a set of similar objects that differ in a regular and measurable way from most to least. Each piece of equipment is generally a set of objects which isolate a fundamental quality perceived through the senses such as color, form, dimension, texture, temperature, volume, pitch, weight and taste. Precise language such as loud/soft, long/short, rough/smooth, circle, square, cube and so on is then attached to these sensorial experiences to make the world even more meaningful to the child. The child gradually comes to understand many abstract mathematical concepts with ease and joy. Children begin to understand and use Italian within the world of their own experience and imagination with some topics drawn from familiar areas of learning including common animals and objects and the exchange of simple personal information. They are taught about many of the colourful cultural differences in the Italian way of life. In the Cycle 1 classroom your child will start to become aware of the power of choice. The teacher will invite them to explore the different materials and begin to give them jobs (lessons) so that they can start their life of learning for themselves. Every job is educational in purpose so that a Practical Life job like ‘Washing the table’ is not only a useful skill – handling water, suds, bucket, sponge, determination to persist and complete the task – but it is a pre-reading activity which teaches the child top to bottom, left to right and lateralisation across the centre line of the body.